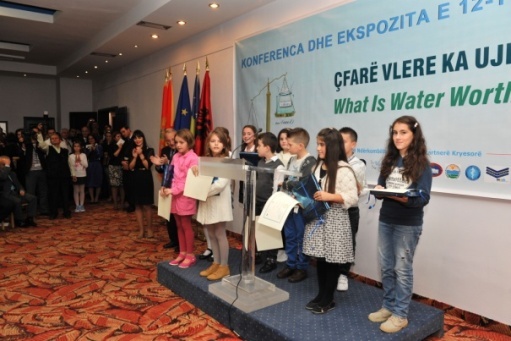 Provide students in selected elementary schools across Albania with the essential building blocks to understand basic concepts about the sources and uses of water, with an emphasis on conservation and protection. Encourage the students in the Program to express what they have learned and valuedfrom this knowledge, by having them prepare a drawing that reflects one of the key learning principles delivered in the Program. Objectively evaluate and select drawings for display at the local, regional and national level to build awareness in the various local communities of the importance of conserving and protecting our water resources, and using them responsibly, as seen through the eyes of children. 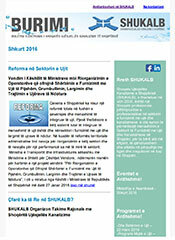 First Stage: Signing of the official Cooperation Agreement between SHUKALB and the Albanian Ministry of Education and Sports on World Water Day, 22 March. exhibition, where a group of experts selects the 12 best drawings. Final Stage: The 12 best drawings are presented at SHUKALB’s Annual Conference and Exhibition in November, where the 12 children, whose drawings are selected as the best ones become part of a Certification and Award Ceremony. Finally, the Association prepares and prints a calendar for next year, with one of each of the 12 best drawings, displayed for each month. 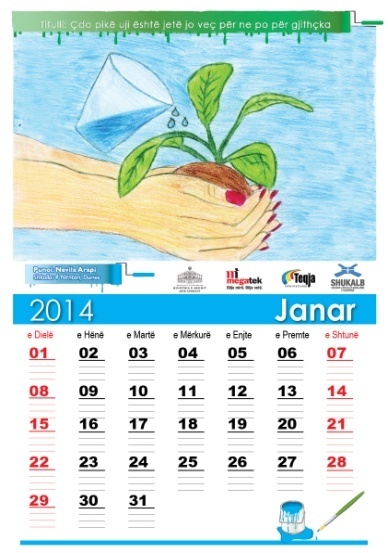 The calendar is distributed throughout Albania. 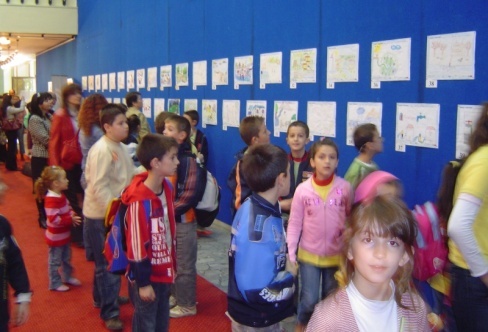 Since its start, the program has reached today over 20,000 3rd grade students all over Albania. 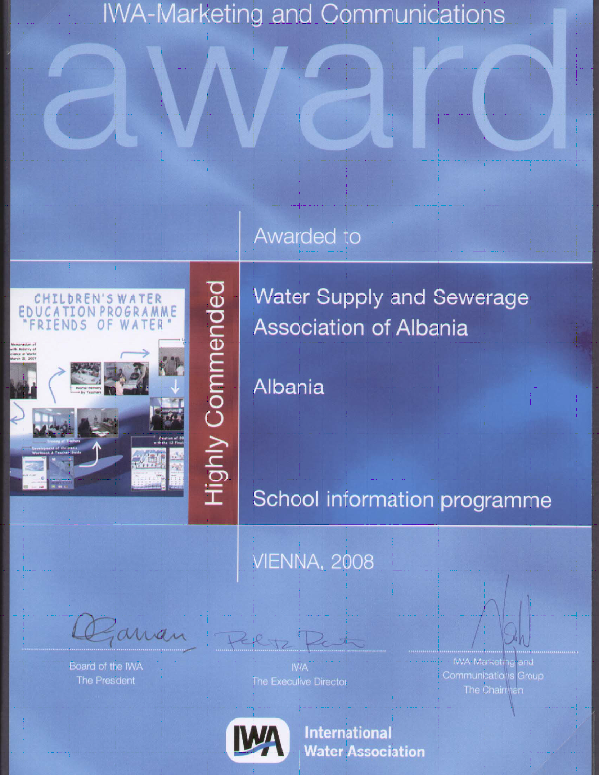 The program was recognized with an Award from the International Water Association, in 2008, as the best School Education Program.